Sunlight Happiness "Caption This" Contest. Shopping Vouchers and Airtime to be won. You need to be here and you also need to invite your friends to enjoy our next big contest! It's the Sunlight Happiness "Caption This" Contest. STEP 1: Share the picture as your entry into the competition each time is posted. 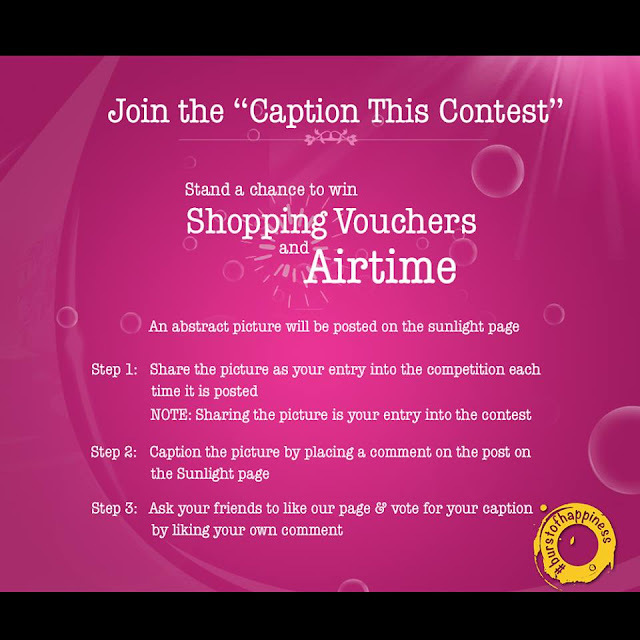 Please Note that sharing the picture is your entry into the contest. STEP 2: Caption the picture by placing a comment on the post on the Sunlight page. Share this if you are ready. The more you share the better!